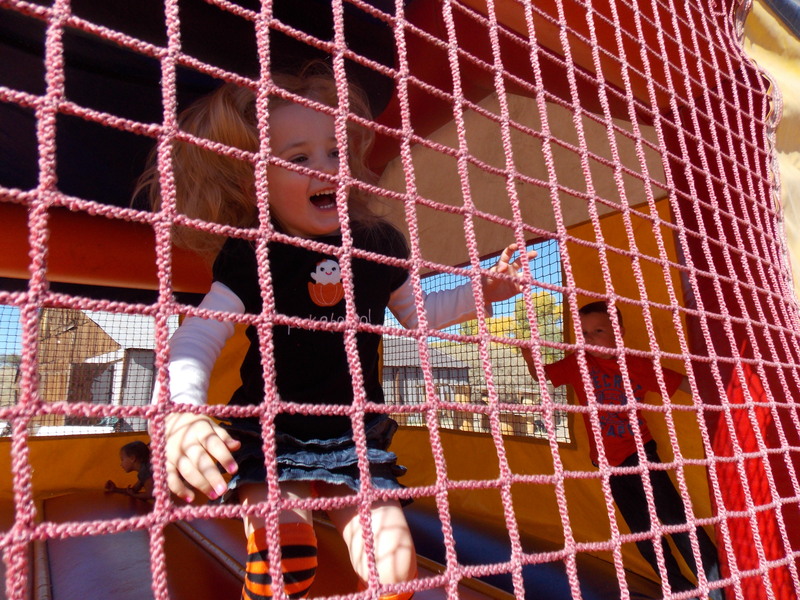 A Whole Lot of Fall Fun! Please forgive my lack of blogging lately…we’ve been rather busy. I know, that’s always my excuse, but you must not mind since you’re still reading!! Fall is my absolute favorite time of year. I love the crisp cool weather, the bright red and orange leaves, and all the fun activities that transition us out of lazy days of summer and into the holiday season. The official kick-off to fall here in Reno is the Balloon Race! It’s by far, my favorite thing to do if I must be awake at 5 am. Actually, it’s the only reason I’m awake at 5 am ever. Sadly though, I did not have the early morning joy of attending this year. Jimmy and Addie represented and spent the morning with dear friends while I was hundreds of miles away in Los Angeles celebrating the upcoming arrival of my best friend Gina’s little man. I don’t talk about her nearly enough on here, she’s only received a shout-out here at her wedding, but Gina is an amazing person and a huge part of my life. 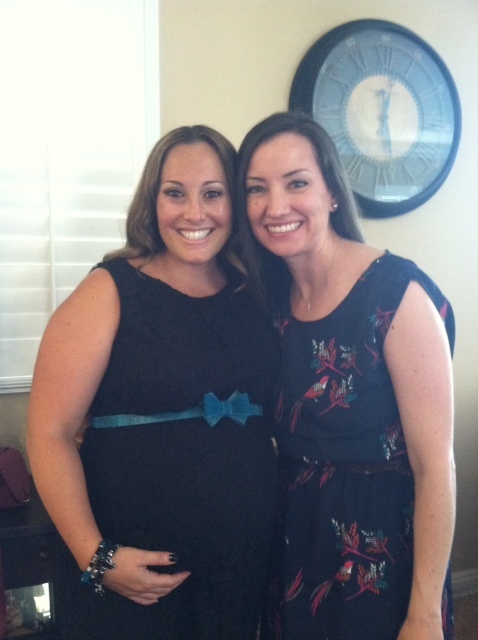 I am so excited for her to be a mommy and I can’t wait to love on her sweet little Kaleb soon! We spent one quiet weekend at home before we were off to the bay area – twice in a row! The first weekend, Jimmy and I had a kid-free escape to take a seminar on CVI. Beckett got his “official” CVI and CP diagnosis in August, though the neurologist failed to mention this to us. 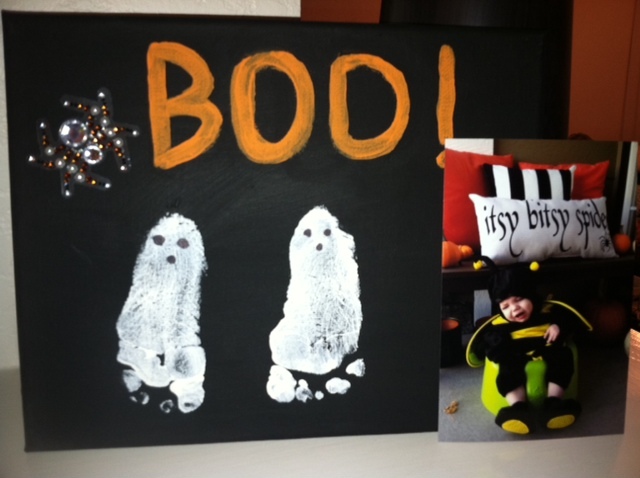 Our Developmental Specialist pointed it out when she received her report from his office. Yeah, that’s how our system works up here in good old Northern Nevada. Please forgive the mini-rant. That’s not the point of this post! Back to our CVI class. The presenter pretty much wrote the book on CVI – literally! She’s amazing and I just want to move to Pittsburgh so Beckett can be a patient of hers. She has a year-long waiting list. She’s that good! We had a lovely dinner with our good friends Jocelyn and David, then spent a much-too-brief morning with Jimmy’s niece Sabrina before heading home to our kidlets. Jett’s birthday was that same weekend, so we made Addie sing to him when we got home. The next weekend, we were off again, this time to celebrate Jocelyn and David’s engagement. We stayed at Nana and Poppy’s and Beckett got to charm the pants off everyone at Dorothy’s 90th birthday party while we took Addie to San Jose on Saturday for the engagement party. Addie spent the day playing soccer and t-ball. Jimmy is going to have a really tough time with these kids! 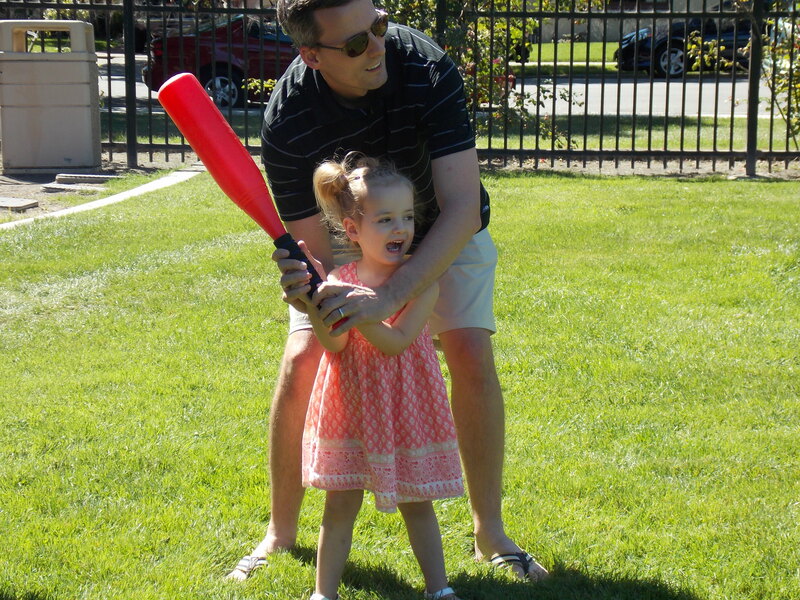 He was so frustrated that Addie wasn’t holding the bat correctly or standing the right direction. It was quite hilarious to watch! He’s way to athletic for toddlers. I think he might have to take a time-out until the more coordinated years come along. Addie’s dance class recently started back up and one of the days Jimmy took her, they were using hula hoops (hoop-a-loops as Addie calls them). He was so embarrassed by her lack of skills that they had to stop at the store and buy one so she could practice at home. She really doesn’t get the concept but she has fun trying! Last weekend, we made our annual visit to Apple Hill. We took Auntie with us and Nana and Poppy met us there. This year, we only went to one farm, but it’s a good one! 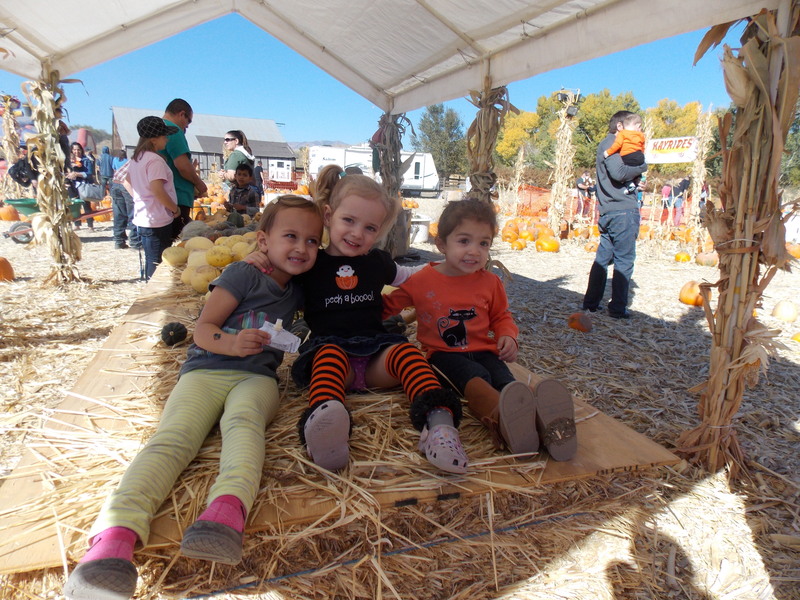 Petting zoo, pumpkin patch, yummy food, and fudge – what more could you want? We took Addie’s picture in the “statues” over and over again. 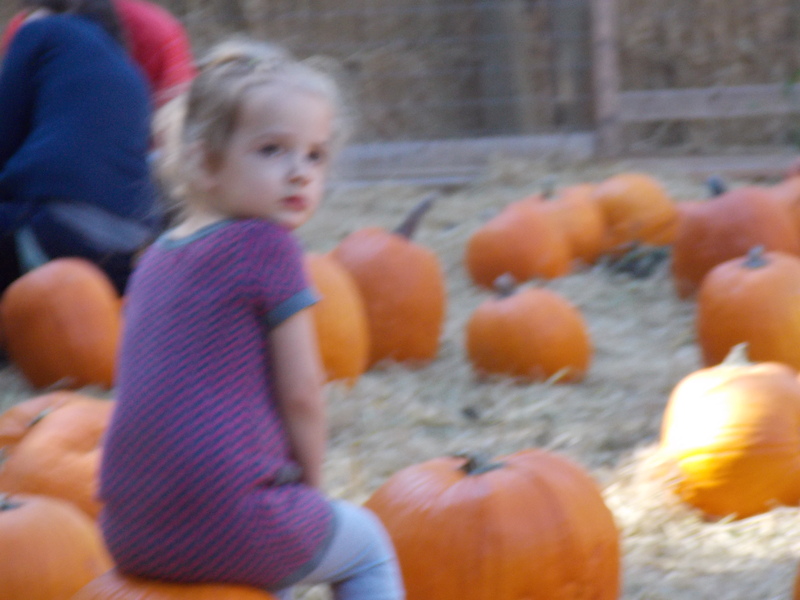 She got mad at the pumpkin patch because the pumpkins were too big for her to pick up, so she decided to plop down on one and pout for a good five minutes. We had to bribe her with food to get her to perk up. She had a good time after that! 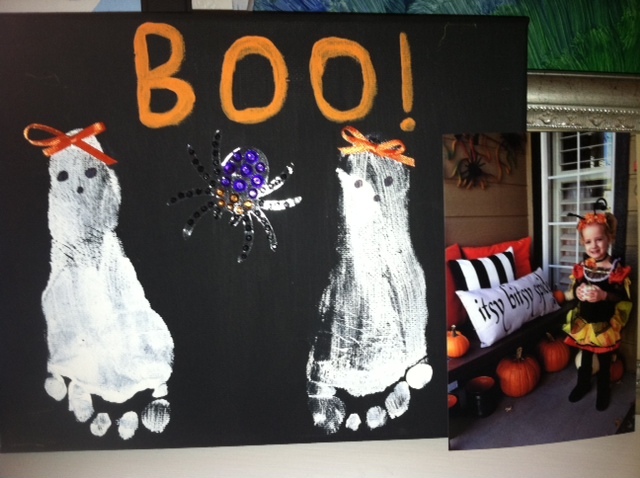 Friday, the kids had their Halloween party at day care. One of the boys who has been there for the past two years is moving away so it was their last day together. Addie’s been in day care with either Blake or his brother Evan since she started at Linda’s so it will be sad to see them go. She’s always loved Blakey! This year, Addie’s a butterfly and Beckett’s a bee. Not as creative as years past, but they’re still adorable! 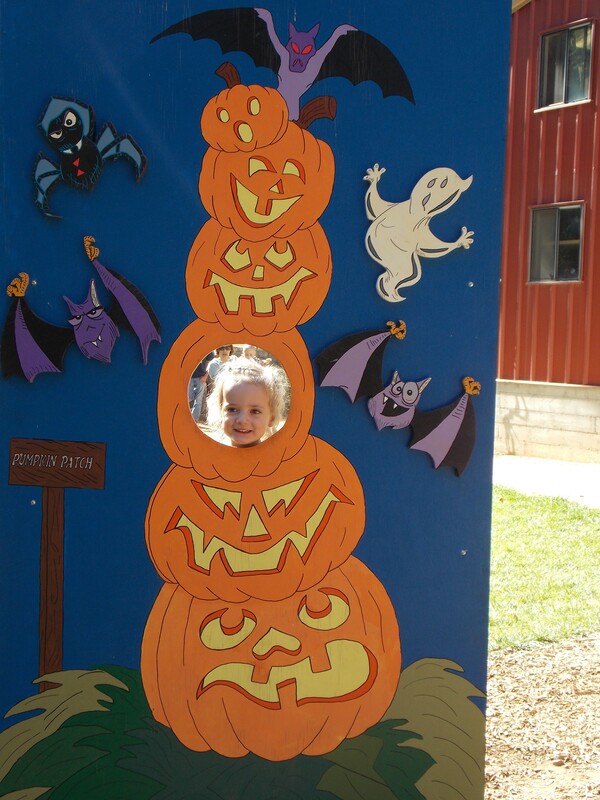 Then today, we spent the morning with friends at the pumpkin patch. We brought home two giant pumpkins and a few little ones that Addie picked out. This year, we tried the hayride. Addie was thrilled. Beckett was indifferent. I think he was hot from being snuggled next to mom all day. 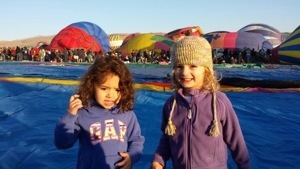 After the hayride, Addie and Olivia jumped in the bounce house until they were exhausted and starving. So, there’s our last couple months in a nut shell! I’ll try to post more frequently with all the holiday fun coming up. And Beckett gets to see a new vision doctor and an OT in the next couple weeks, so I imagine I’ll have more to report on him soon. 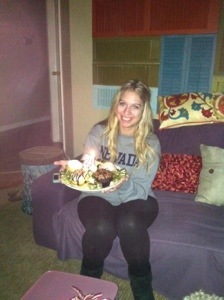 My little sister, you know the one who was 5 when I graduated high school, yeah she’s 21 today!! Isn’t that crazy? And yes, once again I feel super old. We didn’t do anything outrageous. She’s saving that for her friends, but we did spend a lovely day in apple hill then enjoyed a nice little dinner at my parents last night. Today, promptly after class at 3:45, she was hitting happy hour with her friends. Yep, she’s 21! Happy birthday, my favorite little sister and the best auntie! We love you tons!